Thats all. Game finished - Fulham 0, Manchester City 2. Second Half ended - Fulham 0, Manchester City 2. André Schürrle - Fulham - won a free kick in defence. Substitution - Manchester City. Riyad Mahrez for Raheem Sterling. Substitution - Fulham. Kevin McDonald for Ryan Babel. Missed chance. Raheem Sterling - Manchester City - shot with right foot from the centre of the box is high and wide to the right. Assist - Ilkay Gündogan. Shot blocked. André Schürrle - Fulham - shot with right foot from a diffucult position and long distance on the left is blocked. Ryan Babel - Fulham - won a free kick on the left wing. Missed chance. Ilkay Gündogan - Manchester City - shot with right foot from outside the box is high and wide to the right. Assist - Bernardo Silva. Missed chance. Neeskens Kebano - Fulham - shot with the head from the centre of the box missed to the left. Assist - Cyrus Christie with a head. Joe Bryan - Fulham - won a free kick in defence. Maxime Le Marchand - Fulham - receive yellow card for a foul. Kyle Walker - Manchester City - hits the right post with a shot with right foot from the right side of the box. Assist - Raheem Sterling. Neeskens Kebano - Fulham - won a free kick on the right wing. Offside - Fulham. Timothy Fosu-Mensah with a pass, however Ryan Babel is in offside. Delay in match André Schürrle - Fulham - - injury. Substitution - Manchester City. Fernandinho for Kevin De Bruyne. Offside - Fulham. André Schürrle with a pass, however Maxime Le Marchand is in offside. André Schürrle - Fulham - won a free kick on the right wing. Substitution - Fulham. André Schürrle for Tom Cairney. André-Frank Zambo Anguissa - Fulham - won a free kick in defence. Shot blocked. Bernardo Silva - Manchester City - shot with left foot from outside the box is blocked. Assist - Raheem Sterling. Cyrus Christie - Fulham - receive yellow card for a foul. David Silva - Manchester City - won a free kick on the left wing. Corner - Manchester City. Conceded by André-Frank Zambo Anguissa. Corner - Manchester City. Conceded by Joe Bryan. Substitution - Fulham. Neeskens Kebano for Floyd Ayité. Delay in match Timothy Fosu-Mensah - Fulham - - injury. Raheem Sterling - Manchester City - won a free kick on the left wing. Floyd Ayité - Fulham - won a free kick in defence. New attacking attempt. Raheem Sterling - Manchester City - shot with right foot from the left side of the box is saved by goalkeeper in the centre of the goal. Assist - Oleksandr Zinchenko. Substitution - Manchester City. Gabriel Jesus for Sergio Agüero. Offside - Fulham. Joe Bryan with a pass, however Ryan Babel is in offside. Missed chance. Nicolás Otamendi - Manchester City - shot with right foot from the centre of the box goes high. Assist - Kevin De Bruyne. Corner - Manchester City. Conceded by Calum Chambers. 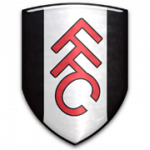 Cyrus Christie - Fulham - won a free kick in attack. Second Half starts Fulham 0, Manchester City 2. First Half ended - Fulham 0, Manchester City 2. Missed chance. Kevin De Bruyne - Manchester City - shot with left foot from outside the box is high and wide to the left. Assist - David Silva. Missed chance. Joe Bryan - Fulham - shot with left foot from the left side of the box missed. Assist - Floyd Ayité. Missed chance. Ilkay Gündogan - Manchester City - shot with right foot from outside the box is close, but missed to the left. Assist - Bernardo Silva. New attacking attempt. Nicolás Otamendi - Manchester City - shot with right foot from few metres is saved by goalkeeper in the centre of the goal. Assist - Kevin De Bruyne. Shot blocked. Kevin De Bruyne - Manchester City - shot with right foot from outside the box is blocked. Assist - David Silva. Ilkay Gündogan - Manchester City - won a free kick in attack. Offside - Manchester City. David Silva with a pass, however Raheem Sterling is in offside. Missed chance. Nicolás Otamendi - Manchester City - shot with the head from the centre of the box is high and wide to the left. Assist - Ilkay Gündogan with a cross after corner. Ilkay Gündogan - Manchester City - won a free kick in defence. Goal! Fulham 0, Manchester City 2. Sergio Agüero - Manchester City - shot with right foot from a diffucult position on the right to the top left corner. Assist - Bernardo Silva. Shot blocked. Floyd Ayité - Fulham - shot with left foot from outside the box is blocked. Assist - Ryan Sessegnon. Missed chance. Ryan Babel - Fulham - shot with the head from few metres missed. Assist - Joe Bryan with a cross . Tom Cairney - Fulham - won a free kick on the left wing. New attacking attempt. Kevin De Bruyne - Manchester City - shot with left foot from the centre of the box is saved by goalkeeper in the centre of the goal. Assist - Sergio Agüero. Shot blocked. Bernardo Silva - Manchester City - shot with left foot from the centre of the box is blocked. Shot blocked. Raheem Sterling - Manchester City - shot with right foot from the centre of the box is blocked. Assist - Sergio Agüero. New attacking attempt. David Silva - Manchester City - shot with the head from the centre of the box is saved by goalkeeper in the centre of the goal. Assist - Kyle Walker. New attacking attempt. Ilkay Gündogan - Manchester City - shot with right foot from outside the box is saved by goalkeeper in the centre of the goal. Assist - Raheem Sterling. Missed chance. Aymeric Laporte - Manchester City - shot with the head from the centre of the box missed to the left. Assist - Ilkay Gündogan with a cross after corner. Corner - Manchester City. Conceded by Cyrus Christie. Shot blocked. Raheem Sterling - Manchester City - shot with right foot from the centre of the box is blocked. Assist - Ilkay Gündogan with a cross. Corner - Manchester City. Conceded by Sergio Rico. Corner - Manchester City. Conceded by Tom Cairney. Shot blocked. Raheem Sterling - Manchester City - shot with right foot from outside the box is blocked. Assist - Kevin De Bruyne. Shot blocked. Kevin De Bruyne - Manchester City - shot with right foot from outside the box is blocked. Assist - Raheem Sterling. Goal! 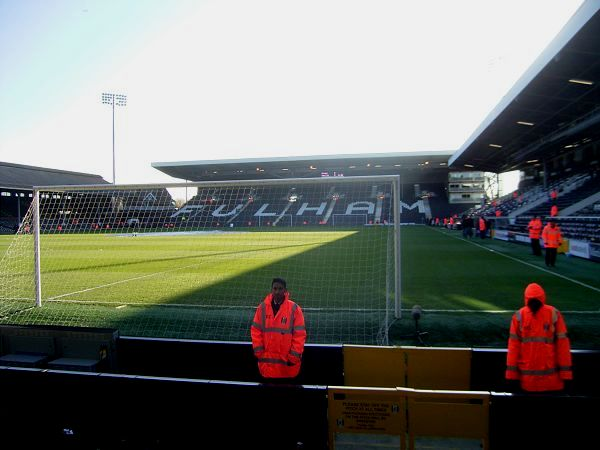 Fulham 0, Manchester City 1. Bernardo Silva - Manchester City - shot with left foot from outside the box to the left corner. Assist - Sergio Agüero. Shot blocked. Sergio Agüero - Manchester City - shot with right foot from the centre of the box is blocked. Assist - Bernardo Silva. Shot blocked. 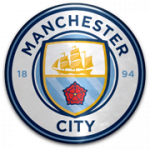 Oleksandr Zinchenko - Manchester City - shot with left foot from outside the box is blocked. Offside - Fulham. Maxime Le Marchand with a pass, however Ryan Babel is in offside.